For the next few days I’m just trying to use whatever we have in the cupboards, so for Meatless Monday, we were debating between two choices, but ultimately decided with cheese, because well, we love cheese. 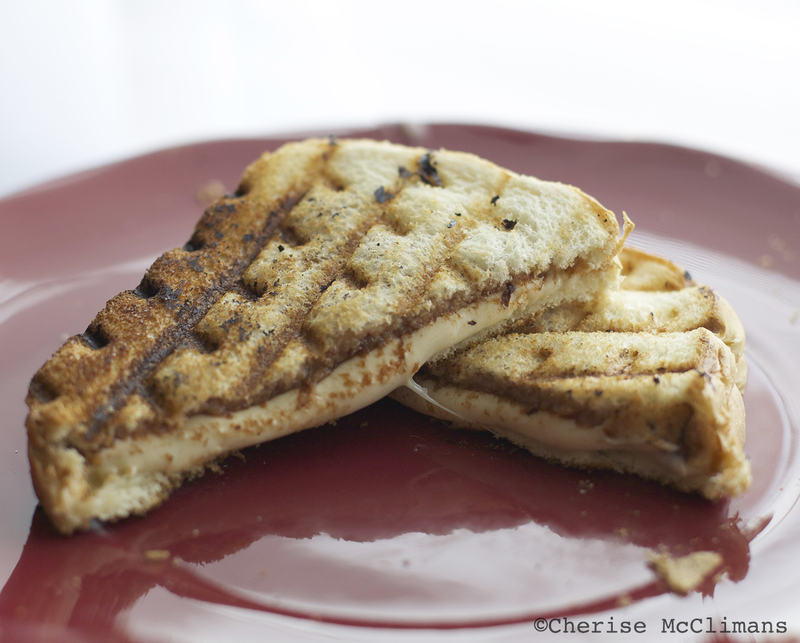 So what goes in this lovely toasted cheese sandwich? We used Italian Bread, because that’s what we had on hand, but you can use whatever kind of bread you enjoy. 1 tablespoon of A1 Steak Sauce – yes, this is a surprisingly delicious combo, trust me. Put the cheese and A1 Sauce between the bread and you can either grill it on a panini press (we have this George Foreman grill/panini press combo) or you can heat up a pan and put a little bit of coconut oil in it and grill it on each side for about 2 minutes (or until cheese is melted and toast is browned) on medium heat.